A Chicago-area lawyer who challenged an experience cap in a legal job ad has lost his case before the en banc 7th U.S. Circuit Court of Appeals at Chicago. The 7th Circuit ruled 8-4 Wednesday that the Age Discrimination in Employment Act protects workers but not outside job applicants in suits for disparate-impact discrimination. Federal appeals courts have split on the issue, the Chicago Tribune reported in a profile of the case in September. 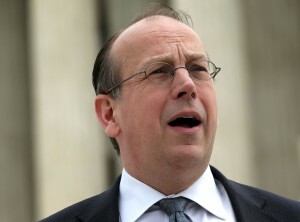 Judge Michael Scudder, a Trump appointee, wrote the majority opinion for the Chicago-based court. The National Law Journal and Courthouse News Service have coverage. The court ruled in the case of Dale Kleber, who was 58 when he applied for a senior counsel position in March 2014 at the medical technology company CareFusion. The job ad said applicants should have no more than seven years of relevant legal experience. Kleber had much more experience, including a past position as general counsel at Dean Foods and CEO of a dairy products trade group. He did not get the CareFusion job. It went instead to a 29-year-old applicant. The decision turned on the meaning of the word individual, which appears in two sections of the law. The first section applies to intentional discrimination, and the second refers to disparate-impact discrimination. CareFusion had argued that the experience cap was based on a reasonable concern that a person with many years of experience would not be satisfied with less complex tasks or comfortable taking direction from a lawyer with less experience.